Spring is synonymous with bold prints and bright colours, but this year’s coolest trend is wearing earth tones from head-to-toe. Neutrals were all over the runways and now it’s time to show the world how exciting these muted tones can really be. This stunning snakeskin print suit pack a serious punch when worn together with a clay coloured coat! But like I’ve said before, the best this thing about a suit like this is you can also wear it separately, so you can subtly infuse the trend into your outfits, all season long. I can’t help but fall in love with this aviator-inspired jumpsuit. It’s incredibly soft, breathable and amaaaazing for travel. 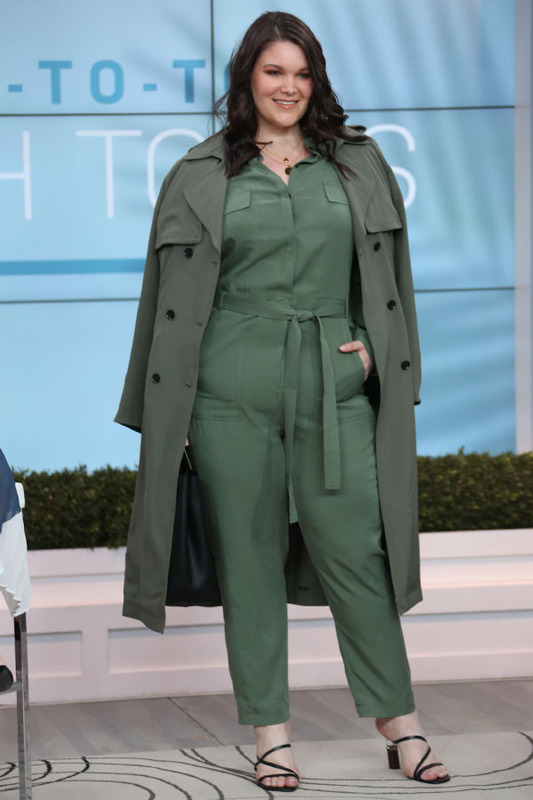 Here it’s paired with Spring’s must-have jacket silhouette – the trench – in a gorgeous olive green. This chocolate knit tunic from Massimo Dutti is so versatile. The tie can be worn in the front, in the back, or skip the matching culottes and wear it as a dress. The best thing about dark brown is that it acts almost like a black – so you can easily pair it with other colours like pink, orange and blue. When I said snakeskin was going to be everywhere this season, I meant it. And in this stunning blush pink tone, it just begs to be taken to Sedona on vacation.